So as I said last week I decided to raise some money for The Mastocytosis Society. I plan to do it by offering 55% of my profit that comes from my webshop until midnight 31st August 2017. My Forever story started with these two products which I started using for my incredibly unmanageable skin: dry (as in flaking dry) and super oily and rosacea. Aloe gelly and Propolis creme helped making my facial skin better, manageable, no longer flaky dry and oiliness is under control too. The two together are just under £30 or $30 which is around the same as top brands products BUT for this money you get 236 ml stuff instead of 30 ml. It lasts for like 5-6 months or so and they’re very good for dry hands and cuts and bruises and sunburns as well. They can be used on animals too. The next I love is the protein shake. The best ones I have ever tried. Vegetarian. Gluten free. Low calories. A lot of protein (24g per portion!!!) and you can even make pancakes (which I will show in another post) oh, and full of vitamins and minerals!!! After scrubbing my face I use Marine Mask which doesn’t have one of these fancy pictures but again it’s definitely worth buying it. I use it twice a week too and it’s just under £20. 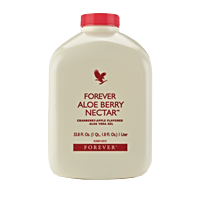 We also have a cleansing programme called C9 which is 9 days cleansing with the power of aloe vera. i have just finished mine and it is absolutely amazing. I lost some weight but more importantly for me I gained energy. Lots of it! I added the links to the listed products as well. It would be amazing if we could raise like $1,000 by the end of August!! !